Cats are very susceptible pets, they are even much more susceptible than the dogs. Some foods which are edible for humans, and even dogs, can be really dangerous for your cat. Here are the common human foods that you should never give your cat. Bear in mind, the list is not complete, it contains just the most common human foods. It is not possible to list everything your cat should not eat. The golden rule: if you’re not really sure what you’re doing, don’t do it: don’t give that food to your cat. When alcohol is served, the cats (and dogs, too!) should be left out of the party and in a safe place. Never give your cat alcoholic beverages. Wine, liquor, whiskey, even beer or foods containing alcohol; none of them. The alcohol has the same effect on a cat’s liver and brain that it has on humans, but it takes far less to do its damage. Just two teaspoons of whisky can cause a coma in a 5-pound cat, and one more teaspoon could kill it. Be careful: they can also drink or lick up some products that contain alcohol, personal products such as mouthwash or perfume, cleaning products, mouthwash liquids such as listerine, alcohol-containing cough syrups or other medications. 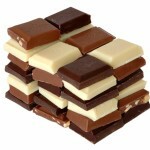 Chocolate contains naturally occurring methylxanthines known as theobromine. The concentration of theobromine which is toxic to cats (and also dogs). Contains caffeine theobromine, which is toxic to cats, even in small amounts. It can cause vomiting and diarrhea and be toxic to the heart and nervous system. Derived from the roasted seeds of the cacao plant, certain properties in chocolate can be toxic to cats when they’re ingested, specifically, caffeine and theobromine. Eating these ingredients can lead to a number of medical complications, some of which may be serious in your cat. Most cats are lactose-intolerant. Their digestive system cannot process dairy foods, and the result can be digestive upset with diarrhea. Despite the classic image from countless popular stories, a cat at a saucer of milk is not a made in heaven. The main culprit is milk’s lactose, which many cats have trouble digesting. The result: diarrhea or stomach upset. All mammals start their lives by drinking milk. This is their first source of nutrition. However, for the digestive system to handle milk – or particularly to process milk’s special form of sugar called lactose – the body needs to produce a special enzyme called lactase. Lactase is produced by the body as long as there is milk to be consumed. Usually once a mammal moves on to solid foods milk ceases to be a part of the diet, and lactase production stops. And once the body stops producing lactase, it never re-starts. Because cats are naturally carnivores, milk has no part in the diet of a wild cat. Since these cats are never fed with milk or milk products their lactase production stops completely – which is why it is a bad idea to offer a feral cat a saucer of milk. The only cats which are lactose-tolerant are cats which have been fed milk on a moderately regular basis since kittenhood. If, as is probable, a feral cat has not had milk for a long time, its metabolism will probably be unable to cope with milk. Causes hyperactivity, restlessness, vomiting, elevated heart rate, hypertension, hyperthermia (elevated body temperature), seizures, and even death. There are several sources of caffeine in the house: in coffee, coffee grounds, tea, soda (coke), energy drinks, weightlifter supplements, OTC pills (e.g., NoDoz), and diet pills. Theobromine, a cousin chemical to caffeine is also found chocolate. The ingestion of moderate amounts of coffee grounds, tea bags or 1-2 diet pills can easily cause death in small dogs or cats. Can lead to obesity, dental problems, and possibly diabetes mellitus (commonly referred to as diabetes, is a group of metabolic diseases in which there are high blood sugar levels over a prolonged period). 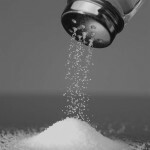 Common table salt is poisonous to your cat, but it’s not usually from table scraps. The source is often what surprises pet owners: pets often experience salt toxicity as a result of eating household play dough, swallowing too much ocean salt water or ingesting paint balls, which are loaded with salt. If eaten in large quantities it may lead to electrolyte imbalances. Level of toxicity: Generally moderate to severe, life-threatening. Salt, while commonly used for cooking in the kitchen, is quite poisonous to dogs and cats. The use of salt to induce vomiting in dogs and cats is no longer the standard of care and is not recommended for use by pet owners or veterinarians! Other sources of salt can be found throughout the household: in homemade play dough, rock salt (for de-icers), paint balls, table salt, sea water, enemas (containing sodium phosphate), etc. Salt poisoning in dogs and cats results in clinical signs of vomiting, diarrhea, inappetance, lethargy, walking drunk, abnormal fluid accumulation within the body, excessive thirst or urination, potential injury to the kidneys, tremors, seizures, coma, and even death when untreated. Treatment for salt poisoning includes careful administration of IV fluids, electrolyte monitoring, treatment for dehydration and brain swelling, and supportive care. If you think your dog or cat have been poisoned by salt, call your veterinarian immediately for life-saving treatment advice. 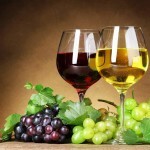 Grapes and their dehydrated cousins, raisins, can cause acute kidney damage or outright kidney failure. It’s unclear why or how this happens — and, in fact, your cat may be OK — but you should err on the side of caution. A handful of raisins or grapes is probably too much. Grape and raisin (dried grapes) toxicity is well documented in dogs. Although the exact substance that causes the toxic reaction is not yet known, it has been shown that even small amounts of grapes or raisins can prove to be fatally toxic for a dog. Cats may also be affected and should not be fed grapes or raisins either. 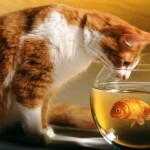 A lot of cats love fish, but it’s really not safe to feed to them. If fed exclusively or in high amounts can result in a thiamine (a B vitamin) deficiency leading to loss of appetite, seizures, and in severe cases, death. Since it lacks proper levels of vitamins and minerals, Large amounts can cause malnutrition. Fish also may contain very elevated levels of heavy metals (including mercury). It’s true cats seem to love seafood meals. It’s weird because kitties didn’t evolve to eat fish. Your favorite feline’s ancestors came from the deserts of Africa. They didn’t hunt giant tuna, or anything else, in the sea. Your kitty’s natural prey are small furry land dwellers like mice. 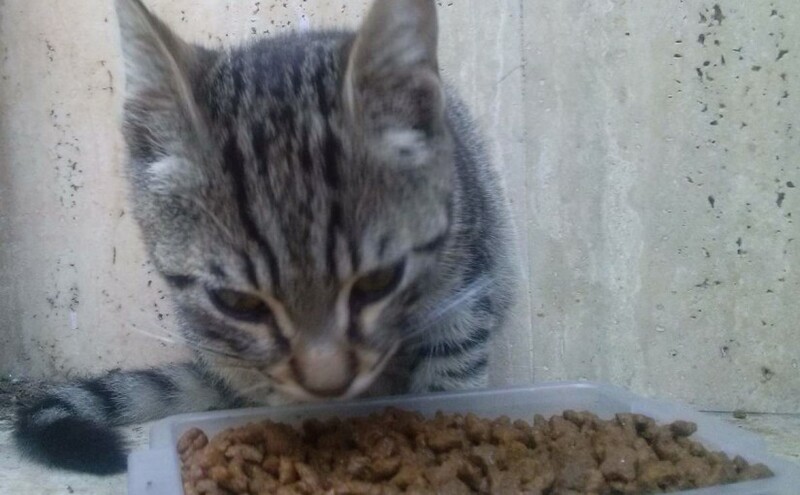 Some cats really like fish, but it’s really not a good idea to feed it to your cat. Despite thiamine deficiency is quite rare in cats, and is most typically seen when a cat has been fed a diet containing large amounts of raw fish. – See more at: http://www.cat-world.com.au/thiamine-deficiency-in-cats#sthash.W93Mptqz.dpufPredatory fish at the top of the food chain, such as tuna and salmon, may contain very elevated levels of heavy metals (including mercury) as well as PCBs, pesticides, and other toxins. Onions and garlic are toxic to cats due to their contents of N-propyl disulphide. This substance can cause anemia by annihilating the red blood cells. Onions are more poisonous than garlic, but keep your cat away from both. Onions contain N-propyl disulphide which causes anemia and, thereby, jaundice (yellow discolouration in lips and eyelids, as well as skin in light-skinned cats). A toxic dose for the average cat would be a couple slices. Like onions, garlic and chives can also cause anemia and gastrointestinal problems in cats. In small amounts, chives are sometimes included in commercial cat food. While this may not be enough to cause problems, don’t let your cat mistake your window box of chives for a planter of cat grass. Don’t forget that even meats may be spiced with garlic or onion, so make sure you check the labels. There are many types of mushrooms which are poisonous. While dogs are far more likely to eat mushrooms than cats, it is advised you avoid giving your cats any type of mushrooms to be on the safe side. While store-bought mushrooms are harmless for cats, cats may take the taste of those mushrooms and take it too far. If cats see mushrooms and realize that they are acceptable to eat, they will likely deduce that all mushrooms are okay, which is definitely a false notion. There is a chance that while your cat is out hunting or roaming nearby nature, it may come across some mushrooms and decide to have a snack. From there it’s a gamble as to whether or not that snack is fatal or benign. You want to avoid that situation all together and keep your cat away from mushrooms. 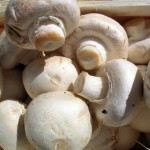 The kind of toxin in mushrooms vary with species. Some cause CNS effects including hallucinations, hyperactivity, and coma. Others damage the liver, heart, or kidneys causing death. Clinical signs usually occur within 6-8 hours following ingestion. Mushrooms grow in the wild in most areas, and pets need to be closely supervised to prevent ingestion, if access to the mushrooms cannot be prevented. Researchers say feeding cats or dogs raw meat diets may cause them to become severely ill, as studies have shown the meats are likely to contain pathogens, such as E. coli or Salmonella. Homemade raw food diets are unsafe because retail meats for human consumption can be contaminated with pathogens. Some dog and cat owners believe raw meat, rather than commercial pet food, is healthiest for their animals. But a new study published in the Journal of American Veterinary Medicine suggests this may not be the case. The study’s research team, led by Dr. Lisa Freeman of the Cummings School of Veterinary Medicine at Tufts University in Massachusetts, notes that many animal enthusiasts claim raw meat-based diets (RMBDs) are a more natural diet for cats and dogs. However, both the American Animal Hospital Association and the American Veterinary Medical Association have suggested that pet food containing raw and undercooked meats could lead to food-borne illness for pets and humans who come into contact with them. Generally cats aren’t attracted to tomatoes, but there have been reports of a single cherry tomato causing a near-fatal reaction. Green tomatoes and the leaves and stems are all toxic. Eaten raw and green, they are likely to cause cats gastrointestinal distress. The ripened fruit of tomato (the commonly eaten form) is considered non-toxic but the green parts of the plant contain solanine, a glycoalkoloid. Solanine is also found in many other plants from the Solanaceae family, including the potato plant (green parts only). Typically, when ingested by dogs and cats, it rarely results in toxicity. A large amount needs to be ingested (e.g., chronically in cattle) for solanine to result in severe poisoning. Ingestion can cause severe gastrointestinal distress (e.g., vomiting, diarrhea), lethargy, weakness, and even confusion. There’s no problem with feeding your cat raw egg yolks from time to time. But try to avoid raw egg whites, as these contain a protein called avidin that can bind to certain B vitamins and prevent their absorption. In small amounts, raw egg yolks are not problematic for cats, according to the Feline Nutrition Education Society. The nutrient-packed yolks are rich in proteins and amino acids that are integral for a well-rounded feline diet. They include lysine, tryptophan, phenylalinine, arginine, histidine, valine and leucine. Before introducing any new food item into your pet’s diet, first consult your veterinarian. But raw egg whites are not suitable or safe for cats to eat due to their avidin component, the ASPCA warns. This protein is an antivitamin present in raw egg whites; it not only disrupts biotin absorption but also affects the chemical processes of energy, amino acids, glucose and fats. Because of this risk, it is important to abstain from feeding your cat raw egg whites, no matter how pitiful she may look as she gazes at you enviously. Raw egg whites can lead to a variety of different and very noticeable problems down the line, including issues with the fur and skin. Baby food: Can contain onion powder, which can be toxic to cats fed baby food for an extended period of time (please see onions and garlic above). Can also result in nutritional deficiencies, if fed in large amounts. Bones from fish, poultry, or other meat sources: Can cause obstruction or laceration of the digestive system. Dog food: If accidental ingestion, will not cause a problem; if fed repeatedly, may result in malnutrition and diseases affecting the heart. Moldy or spoiled food, garbage: Can contain multiple toxins causing vomiting and diarrhea and can also affect other organs. 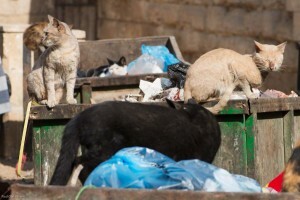 Unfortunately, almost all stray cats have to eat from garbage cans, which is really dangerous for their health. Persimmons: Seeds can cause intestinal obstruction and enteritis. Rhubarb leaves: Contain oxalates, which can affect the digestive, nervous, and urinary systems. Table scraps (in large amounts): Table scraps are not nutritionally balanced. They should never be more than 10% of the diet. Fat should be trimmed from meat; bones should not be fed. 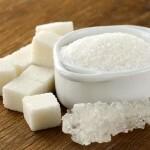 Xylitol: Xylitol is an artificial sweetener found in candy, gum, and even some toothpastes. Xylitol will produce seizures in cats soon after ingestion and liver failure a day or so after, so keep your gum out of kitty’s grasp. What are some healthy foods you can share with your cat? Offer him a bit of apple, a slice of cantaloupe, plain popcorn, or small bites of cooked meat. In small amounts, these types of “human food” are OK for your cat.